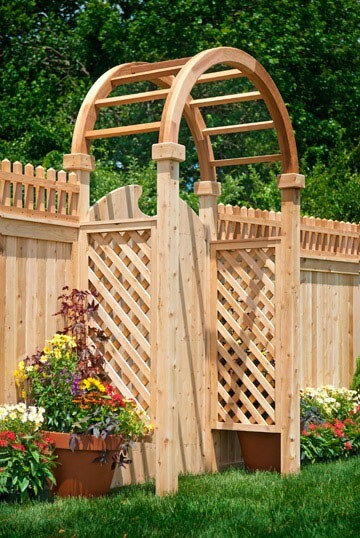 Whether framing a gate or a walkway, Eastern White Cedar Arbors and Pergolas are a perfect fit. A perfect finishing touch to any landscape, these Pergolas and Arbors are made from a beautiful mix of Eastern White Cedar and Western Red Cedar. Complete your fence installation with an Arbor or Pergola. Eastern Whie Cedar products areonly available within the delivery area! 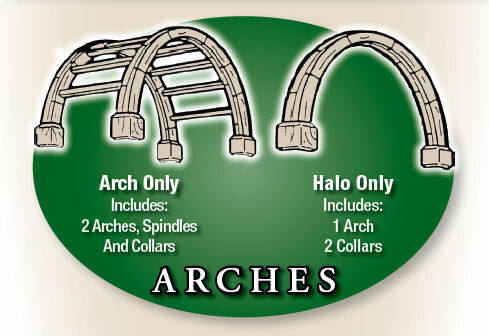 However, Halo’s and Arches can be shipped via UPS. 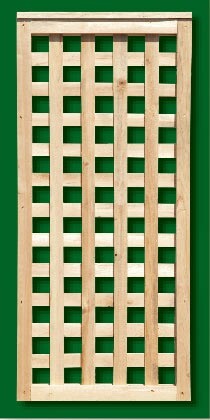 There are six available side panels in the Eastern White Cedar line. 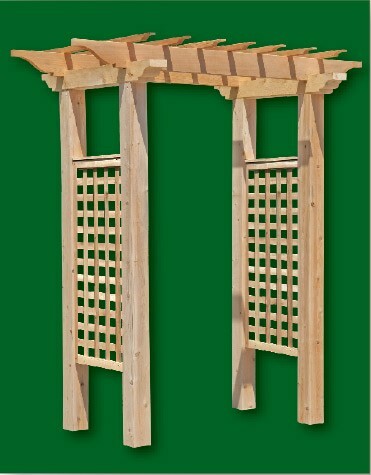 All side panels are made of Eastern Whire Cedar and are available for the wood Arbors and Pergolas. 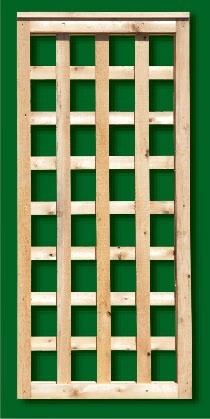 Four foot Diagonal lattice and four foot Square lattice are standard styles and sizes. Four foot Old English Lattice, six foot Diagonal lattice, six foot Square lattice and six foot Old English Lattice are made to order and all are of the highest quality.